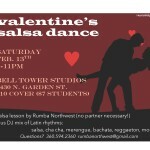 6th ANNUAL RNW SALSA NEW YEAR’S EVE! We’ll be ringing in the New Year’s Eve once again at BAAY with the best mix of salsa music, lessons, and performances by Rumba Northwest! ALL AGES …beer/wine/champagne available for 21+. Guest DJ Andre from Seattle will spin a set. 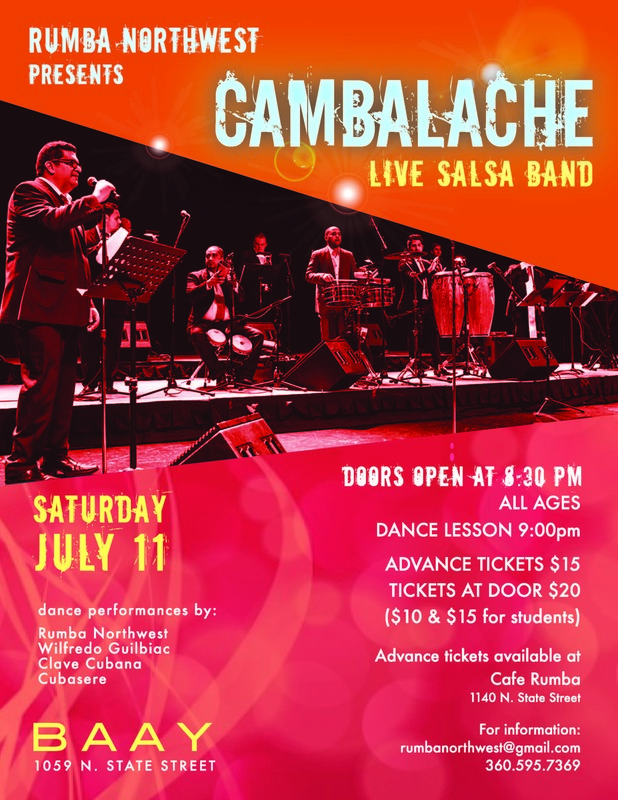 VIVA CUBA WEEKEND FESTIVAL IN BELLINGHAM: CONCERT, WORKSHOPS, MORE! Join the Facebook event HERE and invite your friends! 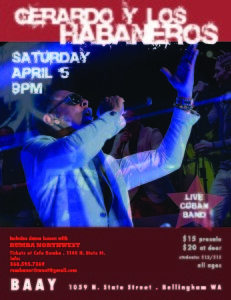 Come celebrate Cinco de Mayo Saturday at Cafe Rumba! 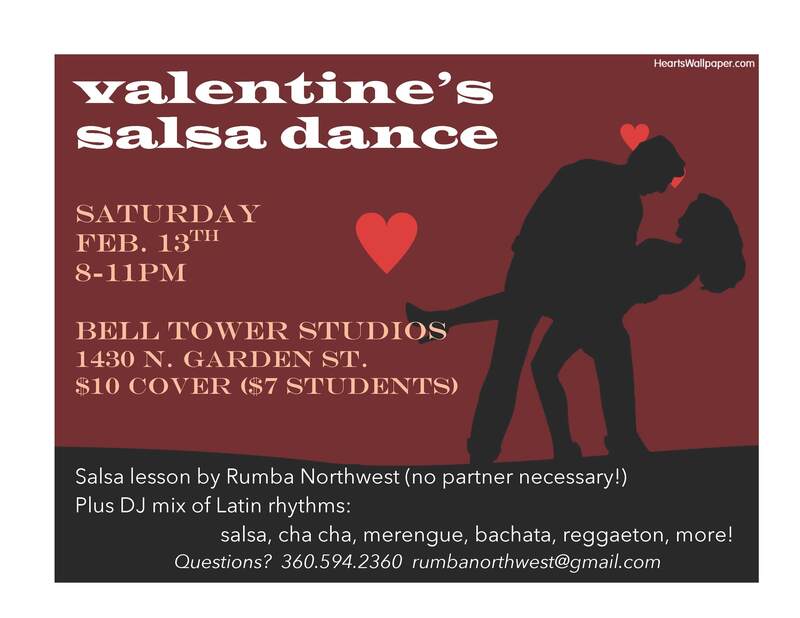 Salsa lesson starts at 9pm followed by the best mix of Latin music: salsa, merengue, bachata, reggaeton, and more. $3 beer special! All ages, beer/wine for 21+, $5 cover. 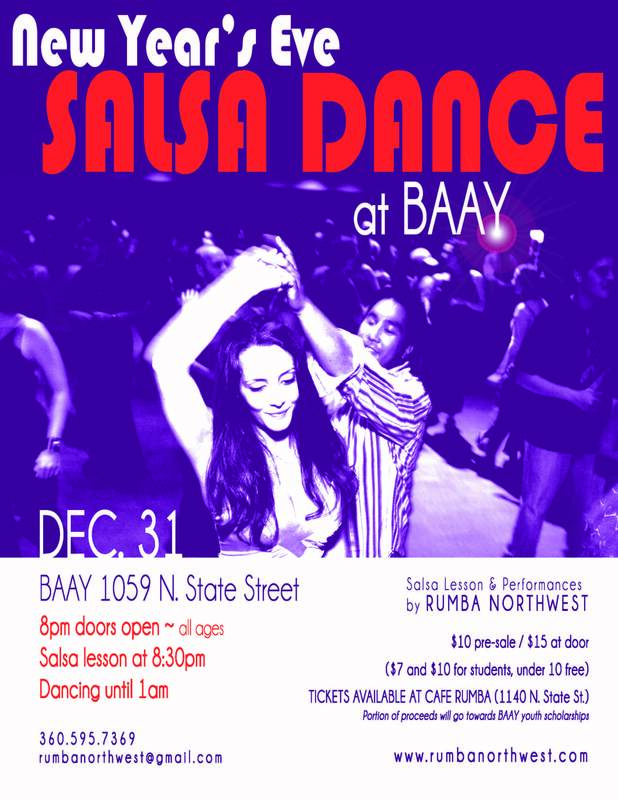 SALSA NEW YEAR’S EVE PARTY AT BAAY! Get ready to dance in the new year! Rumba Northwest presents our third annual Salsa New Year’s Eve Dance, at BAAY (1059 N. State St). Doors open at 8pm, salsa lesson at 8:30pm, followed by the best mix of Latin music — salsa, merengue, bachata, reggaeton — by DJ Antonio. ALL AGES! Beer/wine/champagne available for 21+. Adults $10 pre-sale, $15 at door; Students $7 pre-sale, $10 at door. 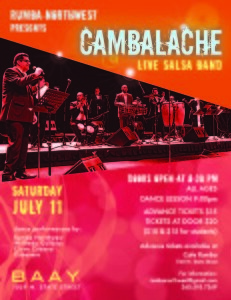 Tickets available at Cafe Rumba (1140 N. State St.). MUSIC: Dance to a Latin fusion DJ’d by Antonio Diaz — salsa, merengue, reggaeton, bachata, cha cha, and more! Join the event on Facebook here, and invite your friends! GET YOUR TICKETS NOW! 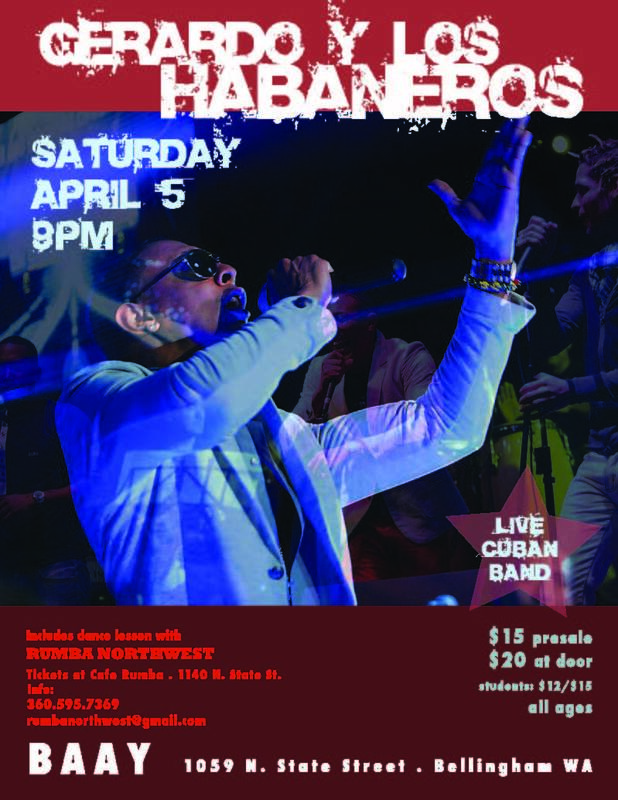 CUBAN BAND “HABANEROS” SATURDAY APRIL 5!